Superdry women’s jersey stripe Montana backpack. Our new jersey Montana backpack is ready and willing to go wherever you are. It features a glitter stripe design to add a bit of sparkle back to your accessories, a large, holographic zip compartment and padded back and straps. In addition, the stripe Montana has twin side pockets, a top grab handle and a smaller zipped outer compartment. 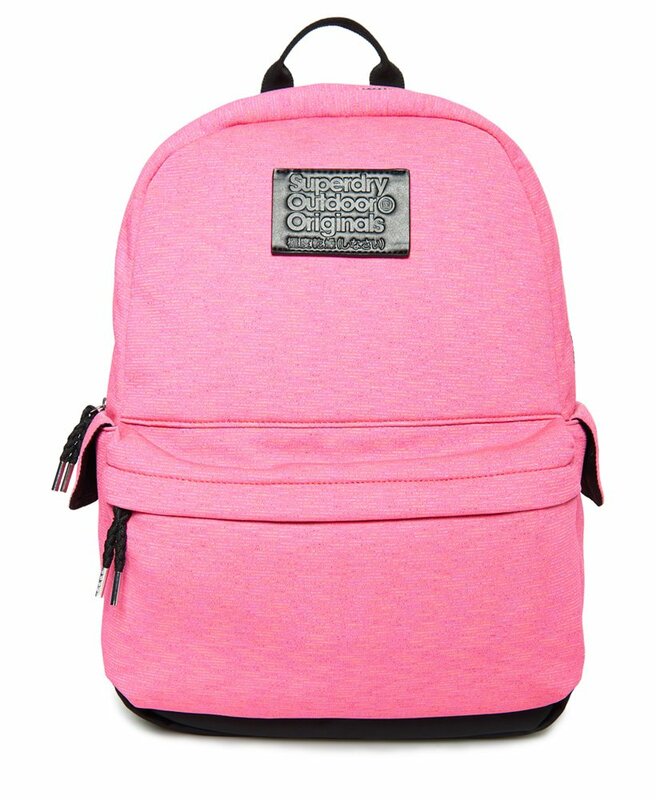 Note the Superdry silicone patches on the front and strap of the backpack for the perfect finishing touches.